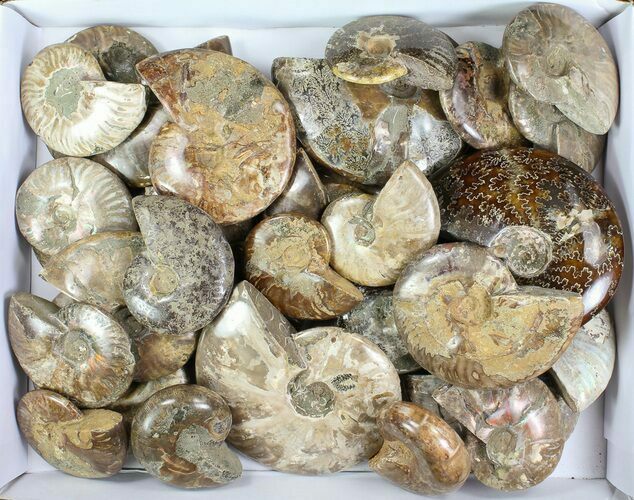 This is a wholesale lot of 20 lbs of beautiful, polished ammonite fossils from Madagascar. 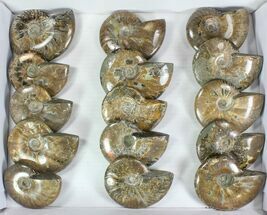 These ammonites are Late Cretaceous in age or approximately 110 million years old. 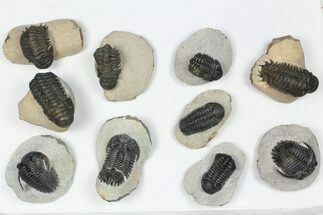 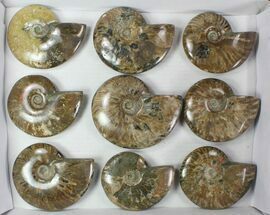 The ammonites range from 3.4" to 5.5". 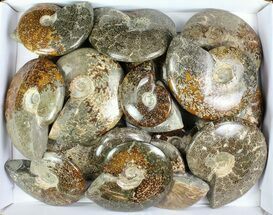 They have been polished, some retaining some iridescent shell, with others showing some of the suture pattern that lies under the shell. 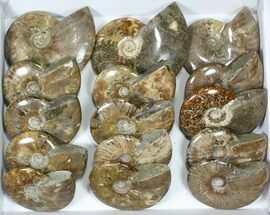 At $250 for the lot, that is just over $8 per ammonite and they can easily retail for more than 3x that on average.